Heat the cream and caramels in a saucepan, and let the candies melt. 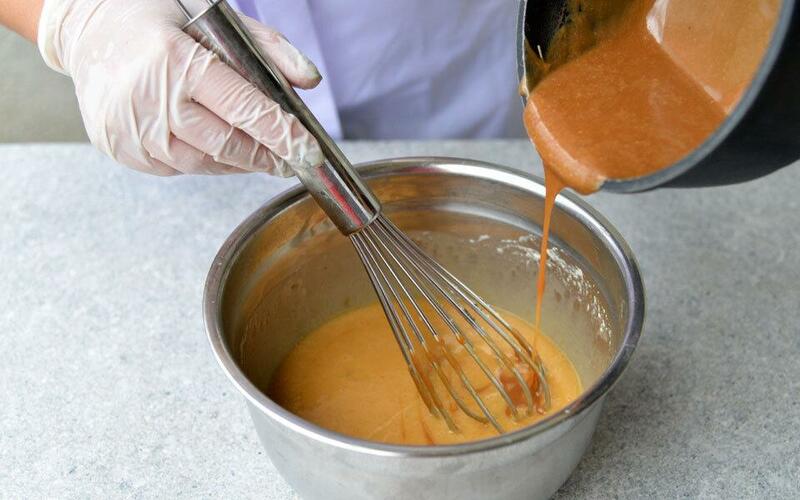 Mix until homogeneous state caramel mass, butter, eggs, glucose, and vanilla seeds. 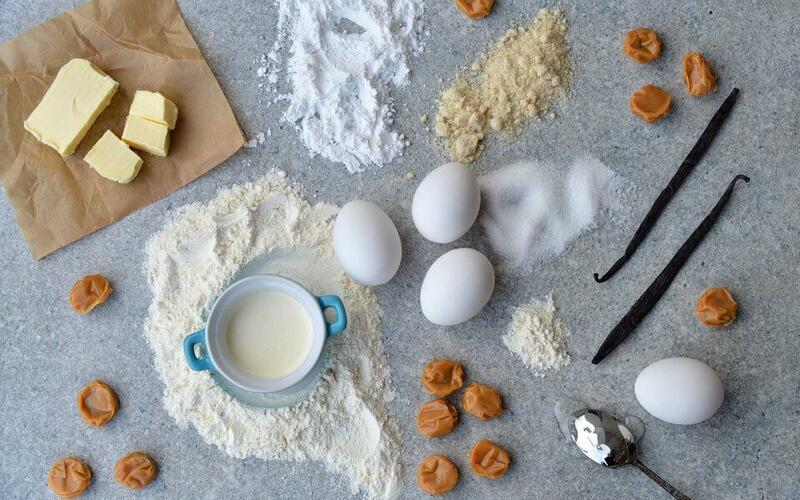 Add the sifted flour with baking powder and almond flour. Fill the silicone molds with cake dough and bake at 160C for 20 minutes (for small) and about 40-50 minutes for large ones. 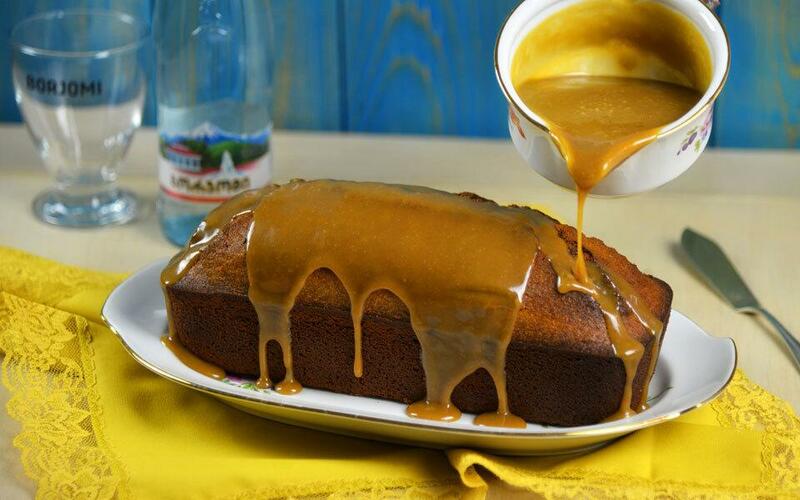 Heat together 400 grams of caramel candies and 80 ml. of creme. 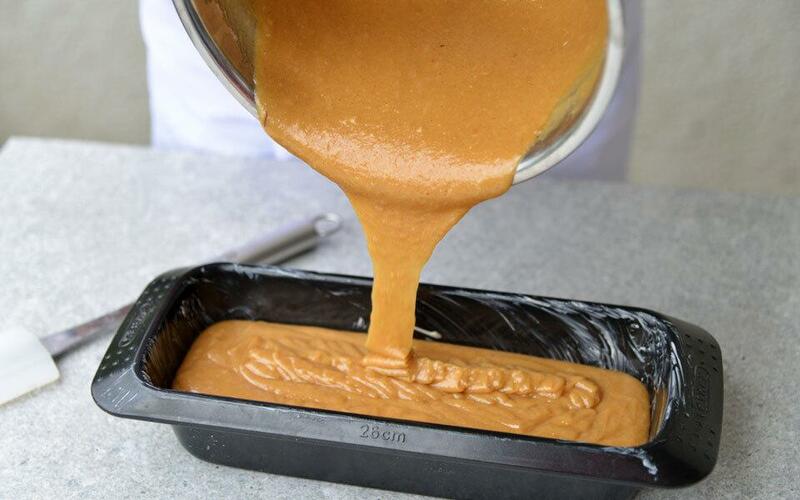 Pour caramel frosting on cooled cake.